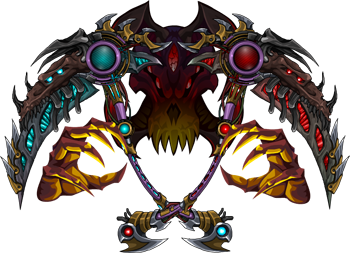 First off, thank you to everyone who joined us on the EpicDuel developer livestream on Sunday. We had a lot of fun answering your questions as Nightwraith drew Jimminy Mole Cricket. Titan showed us the Derp Owl he drew (livestream commemorative item anyone?) as well as demonstrating the new purchasing system, where packages come with “bonus points” to allow players greater flexibility in choosing promotional items and credit bonuses with their package. We’re really excited about it, and it’s coming out for real this time (Titan was hurt enough by #smackTitan)! We also announced that the next big story arc is called the Infernal Infiltration Saga, with a revamped war system. During the stream, Nightwraith talked about the Delta Knight armor suggested by Reki, and he was excited about it. You were excited about it, he was excited about it... everyone’s excited about it! And Nightwraith’s been hard at work making it a reality! That means this Friday, we will be introducing the class-changing Delta Knight armor (a different look for each class!) for sale in game and as part of a Promotional Package. Thank you to everyone who applied to be a moderator. We had the difficult task of going through all your applications and selecting the candidates we felt were best suited to the job. For those who weren’t selected: I’m so sorry that we could not offer you a position at this time. I hope you will continue to support ArtixEntertainment as a player even though you weren’t quite what we were looking for from staff. For those who were chosen: congratulations! You should be receiving an email from us soon with paperwork and such. 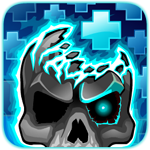 A Warm Welcome to the newest member of EpicDuel’s development team! Disturbed has joined our team, and he’ll be helping out with artwork. Congrats, Disturbed, and welcome to the team! Be sure to follow him on Twitter for his latest works in progress! Cerberoz Livedraw this Wednesday at 4pm! 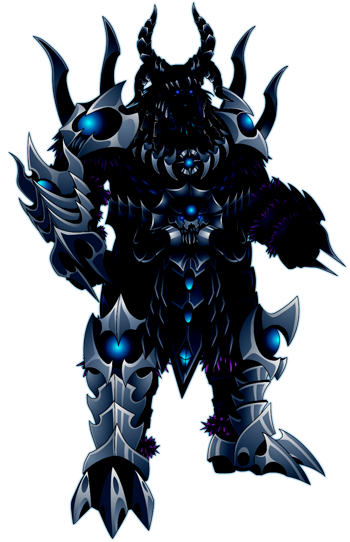 Join AQW this Wednesday at 4PM EST for Cerberoz's in-game live-draw event! We'll be taking your suggestions over Twitter about what he should draw so that you can see your input shape the item as it appears on the screen! You'll want to /join stream once the event starts and you'll be able to watch as one of AE's epic artists draws an item based on your real-time suggestions! That item will go into the Black Market shop in the /stream map and, once the art is polished up, the item will turn into the weapon you've just seen created! AE heads to Relay for Life! The world is made up of everyday heroes, and this weekend Artix Entertainment is joining a whole group of them as we race to find a cure to save lives in Relay for Life! We'll be walking, running, /stepdancing, and even /sambaing our way up, down, and around the track for 18 hours from Friday to Saturday. If you're in the area, /party up with us at the Charles S Rushe Middle School from 6PM Friday night to 12PM Saturday! We'd love to see all our local players there! Hi there EpicDuelists! It’s that time of the week again, time to let you know what’s on our agendas for this week! Last week I promised that we’d implement some balance changes soon, and we’re finally ready to release the planned balance changes! This is not meant to be the “be-all, end-all” Ultimate Solution to Balance, but as I’ve said before, we’d rather go in with a scalpel than a sledgehammer. The improved scaling with cast spells required Titan to program a new scaling system, which is a big reason for the delay. This list is subject to last minute changes as testing progresses! We’ve managed to fix a few bugs, including one where removing a buddy does not unlink you as allies, one of the sources of lag (hung battles), and a few bugs on our moderator tools. I’ve also been getting a lot of questions as to why we haven’t implemented more bots into the game, or added more dynamic options (such as battle pets) to the game. The system that bots currently use needed fixing, and Titan is currently building a better system for robots, as well as several other new useful features. We like building new features, and it’s really fulfilling to be able to set the ground work. Charfade’s back from her holiday, and she’s been working on giving the webpage a facelift. I’m not sure when this’ll go up, so I don’t know it has gone up or not when you’re reading this. If it has, good job Charfade! If it hasn’t, also good job, but not as enthusiastically. As stated in last week's DNs, we plan on restocking the Telsa and Lady Tesla Armors once again with the new release on Friday. This restock will be small, but we'll try to give everyone who missed out on it last week a chance to grab it! This is the last guaranteed restock. After this weekend, restocks, if they happen, will be very small and entirely random. We want to provide a fair chance to as many players as possible to grab the LQS items, but we also want to retain rarity and value of the item for those who were lucky enough to grab it immediately. We'll see what we can squeeze in before the end of the week! Could be anything! Not really, but when I asked on Twitter how the players would respond if I started putting an “Insect Fact of the Week” on the Design Notes, the response was overwhelmingly positive. So, this feature will be a regular occurrence! Here are a couple facts about insect maturity! When insects mature, they molt- that is, shed their exoskeletons- until they are mature. The developmental stage between each molt is called an “instar”. Since insects do not molt after reaching maturity, the term “instar” only refers to larval or nymphal forms of the insect. The process of maturing in insects is called “metamorphosis”. Homometabolous insects undergo complete metamorphosis, where the larva forms a pupa, and undergoes a dramatic change. You know about this if you’ve ever seen a caterpillar turn into a butterfly. Hemimetabolous insects go from a nymph to an adult through gradual changes, and the nymph often resembles the adult. An example of this kind of insect would be a dragonfly. You may notice something different about the website (or not, depending on when the DNs go live). Nightwraith and Charfade have been hard at work making everything more attractive and functional. 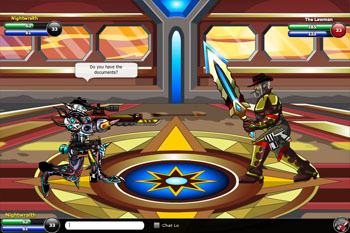 This is still the same EpicDuel you know and love (new look, same great taste...). We promised it two weeks ago, but it proved to be a little more complex than initially anticipated. We’re implementing a new Mission Log. 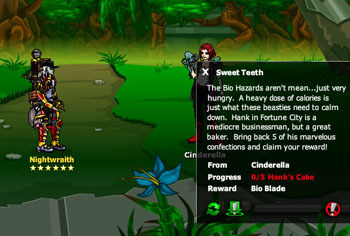 Now you’ll be able to see which NPC you should return to, your progress on the current mission, and the mission reward. In a future release (as soon as next week) you'll be able to view all of your completed missions. What do all those little buttons do? The green, circular button refreshes the mission status. This lets you know your current progress. The green arrow button allows you to jump to the NPC that gave you the mission at any time. This makes those pesky errand missions much less of a pain in the legs. The red slashy circle behind the exclaimation point allows you to cancel the mission from anywhere, at an time. You can also still cancel a mission my accepting another one (You can't take more than one mission at a time. I guess citizens of Delta V can't multitask!). 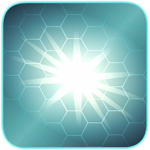 The Administrator 12 has a new mission for you in Fortune City. This is a tough one so grab your best gear and prepare to take on the Lawman himself! Thank you for all of your concerns about the balancing for Juggernaut battles. While we’re holding off on adding a Juggernaut button to the bottom of the screen, we are changing up the balance to make it better for the Underdogs. We’re raising the Underdog range up 2 levels. Meaning that a level 33 Juggernaut will now be facing a team with the level range of 25-30. A quick way to know the levels your character could face in a Juggernaut battle is to take your level and subtract 3 and 8- that will give your Underdog level range! We’ve fixed the "CHECK POINT FAIL 6" bug that was related to skill warmups. What on Delta V does that mean? Have you ever been in a battle, clicked a skill, and nothing happened? Annoying, huh? That's CHECK POINT FAIL 6. Another great fix is the elimination of the Admin Kick 100 and 101 errors. These were happening when players received the "Battle Failed to Start" error while battling from a house or Faction HQ. Admin Kick 115 still remains elusive. Let us know on the forums if you see it happen. We've also fixed the daily leaderboard bug that incorrectly displays win %. On a happier note, we’d anticipated a portion of this update that should make our players happy. However, the sheer volume is so large that we need a bit more time to draw all of them. “All of what?” you ask? Well, next week we’re setting up a new Player Suggestion Shop! Some of our lucky players will have their items featured in-game, and receive the Epic Artist achievement as well as their item! Thank you for your continued support, suggestions, and criticism! Friday the 13th is traditionally known as the most unlucky day of the year, but this year, it’s your lucky day! This week’s update is sure to please even the most finicky of Duelists, especially since many of our players are taking finals and getting ready for the summer! Charles! No! Get out of my head, Charles! You asked for it, we built it! Introducing the new Juggernaut battle mode. The word Juggernaut means a large, inexorable force that crushes everything in its path, the unique battle system allows players to pit themselves against opponents 2 versus 1 style! How this works is that two lower-level players will do battle against one higher-level player. If you survive, then you’re the Juggernaut, and may proclaim yourself as such. 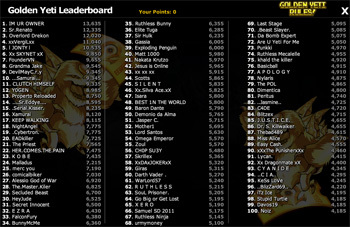 We’ll also be implementing a new leaderboard and win record along with the battle mode. But that’s not all! 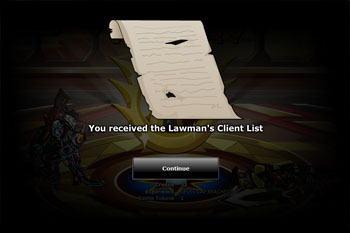 For those of you who like missions and quests, we have more stuff for you to do on the way. In addition, players will now be able to receive Varium back from selling their promotional items. That bug and several others will be fixed in the coming update. It’s that time again! At sundown on Friday, AdventureQuest Worlds will be taking you on a Wild West Adventure with Voltaire and Deady. There’s plenty for everyone- rare items, fun things to kill, and even an adorable little bear who might be more than he seems... Good luck- you’re going to need it! Read more about Voltaire and this week's Friday the 13th event! WHO: Musical Guest Star Voltaire, the AQW Team & YOU! WHY: "In the wild west... your foes are the unluckiest!" And remember, this Friday is the only day this year where you can get the +13 damage bonus on the "... On a Friday the 13th!" 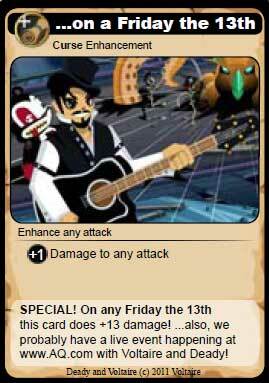 card from our first card game- AdventureQuest Worlds BattleOn BattleCards!